Mersey Soccer Club was founded in 1985 by a small group of Berkeley parents and coaching director Bill O'Donnell. They decided on a scientific approach and decided to find a way to recruit knowledgeable dedicated teachers who would listen to the kids and create a positive fun environment. To this end they sought out someone with a professional background. Led by Julie Natchwey, the parents contacted Bill O'Donnell. Previous to moving to the Bay Area he was the head of the boy's physical education department at a High School in Liverpool, England. The area is a known hotbed for soccer and the school teams had enjoyed considerable success under Bill’s influence. Two years after their first meeting in 1983 Bill and Julie founded the Mersey Soccer Club. Bill accepted the role of Director of Coaching. Over the next three decades the Mersey Club grew and developed, and has formed many successful teams that have traveled throughout the Bay Area. In recognition of the English influence on the formation of the club the Mersey name was taken from the river Mersey and the concept of the Golden Vision was adopted for the sound technique that is ingrained in our teachings. The Mersey river is about 70 miles long and begins in another famous city of England's north, Manchester, before flowing into Liverpool Bay. 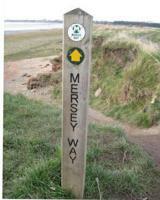 The river has given its name to the area known as Merseyside. Alas, not everything is as it once was and the Mersey, during its journey to the sea today, becomes, in part, the Manchester River Canal. By the time the Mersey reaches the sea, the Irish Sea, it has changed course and width a number of times. What it doesn't lack, however, is history. Along this long stretch of the River Mersey, England, lie the homes of four of the English Premiere League’s top soccer programs; Everton, Liverpool, Manchester City and Manchester United. For his remarkable ability to move with the ball and find the back of the net, Alex Young earned the nickname The Golden Vision. It is from this hotbed of English soccer that the Mersey Soccer Club derives its name and desire to produce players that have that Golden Vision. Mersey Soccer Club is one of five clubs in the Alameda Contra Costa Youth Soccer League (ACCYSL). Our league, which has over 2,600 players, is in District 4 of the California Youth Soccer Association (CYSA). District 4 comprises of 15 leagues and has approximately 25,000 players, while the CYSA has approximately 12,000 teams and in excess of 200,000 players!